Lasts nighter some of Baz and Mireille's friendlies were here to watchers the Germanys footballer match in the World Cups, and they bringereds us some tastiers brownies from Koreas to munchers on. 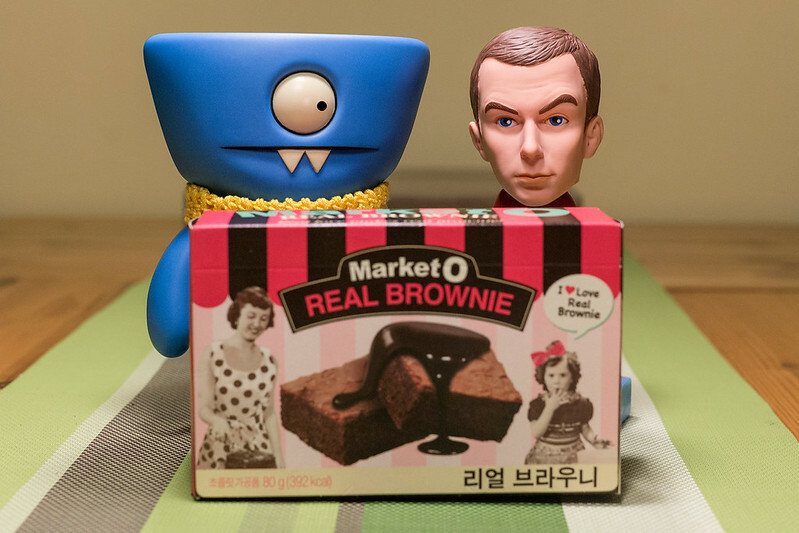 As we hads a packeter lefts, I invitereds my scientifical brainereds buddy Sheldons over to helps me eaters them todays, but he refusereds to even touchers the packeter, he saids he doesn't likes to tries new stuffs! Honestlies, whats the heller, what kinds of an attimatuder is that to has, he's a completes mentaller, and this will be the lasts timer that I inviters him rounds here to the cookie cave, that's for sures!